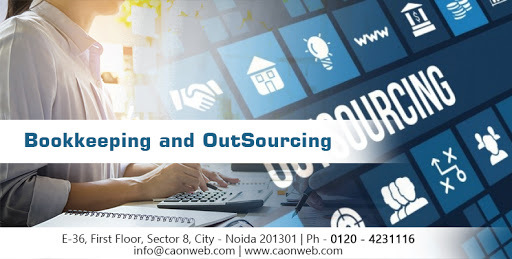 In today’s cut-throat competition for the long-term profitability and sustainability, every organization should focus on its core competencies related to business operation by outsourcing its bookkeeping work to professionals which is an integral part of any organization. Therefore, it is very important to maintain bookkeeping records in order because without having a proper bookkeeping system, it will become very difficult to comprehend where an entity stands financially or whether it is able to achieve its short term and long term goals or not. Cost-effectiveness: Outsourcing of bookkeeping cuts employee costs as one does not need to hire full-time employees for the purpose of maintaining books. Moreover, it is not always possible to have qualified and trained accounting employees at low cost. Confidentiality: Your bookkeeping data remains safe and secure in the hands of professionals. It reduces the risk of violation/misuse of financial information. Accuracy and quality result: Professional bookkeepers have required skill set, training and work experience that is required to maintain an effective bookkeeping system. Outsourcing Of bookkeeping ensures that the results are accurate. Focus on maximizing profit and revenue generation: Any organization that opts for outsourcing of bookkeeping automatically has more time to focus on revenue generation as it prevents itself from complex bookkeeping processes and systems. Moral check on employees: – Outsourcing of bookkeeping act as a moral check on employees as it casts fear of getting caught. It reduces the chances of fraud, collusion, and embezzlement. Benefits of up-to-date software: Due to changes in laws and regulations accounting software are required to be updated on regular basis. Software like Tally erp9, Sap and Busy require regular updating. Professionals use up to date technologically advanced software for their work. Therefore, Outsourcing of bookkeeping functions helps in avoiding software costs. Helps in making informed decisions: As Professionals use advanced software, customized reports can be obtained for any particular financial matter thus, helps in making informed decisions promptly. Meeting Deadlines: We all know the relevance of financial information ceases with the passage of time. Any information is useful only when it is provided on right time to economic users. Professional bookkeepers complete their work in time which helps in the timely preparation of financial statements, it also helps in timely completion Statutory audits like company audit and tax audit. 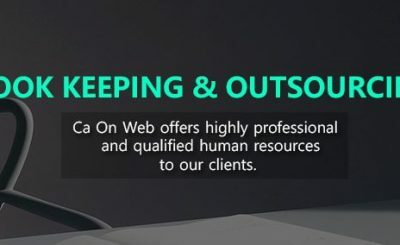 There are several benefits of outsourcing of bookkeeping to professionals such as avoidance of fines and penalties, gaining professional advice on complex bookkeeping matters and many more. Therefore every entity should consider outsourcing bookkeeping work to professionals for numerous benefits.